AVL is known for its provocative pieces, including one that proved too controversial for the Louvre in 2017. The collective’s works often take the form of fantastical machines that exaggerate or satirize capitalist and industrial practices. 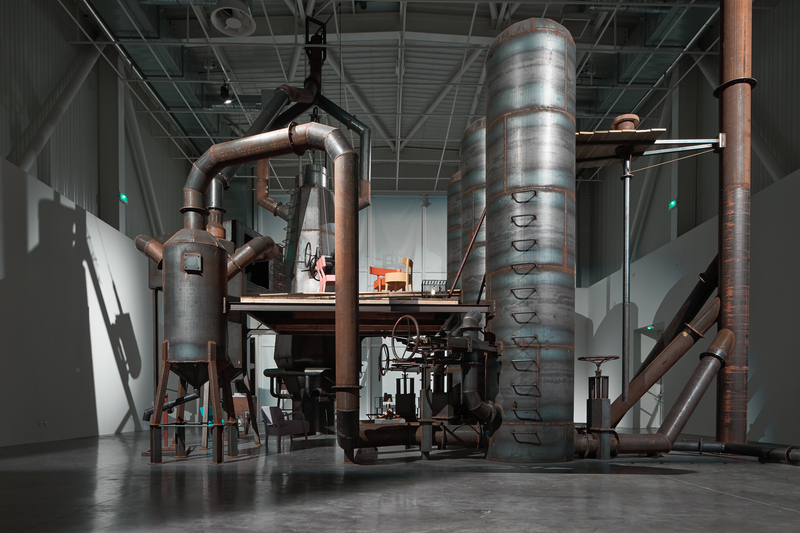 For the Pioneer Works show, AVL will display Blast Furnace, a work from 2013 comprising a 40-foot-tall mix of industrial hardware that a family supposedly lives inside of. The work is apparently “inspired by a desire to the return to industry” in the face of changes to the nature of work in the 21st century. Other works in the show riff of Italian Futurism and link aspects of the movement to the seeming resurgence of fascism today. The CryptoFuturist and The New Tribal Labyrinth will be on display at Pioneer Works from March 1 through April 14.